In complete alignment with facilitating UAE’s diversification agenda, Abu Dhabi Ports acts as a business enabler to provide vital infrastructure for the global maritime industry. We promote the Emirate as a premier regional and international hub by offering an integrated approach through our portfolio of commercial, community, logistics’ and leisure ports. We are growing dramatically in terms of our container, general cargo, bulk and RoRo services, to unleash the vast potential of 90 percent of world trade movement that is carried by sea. 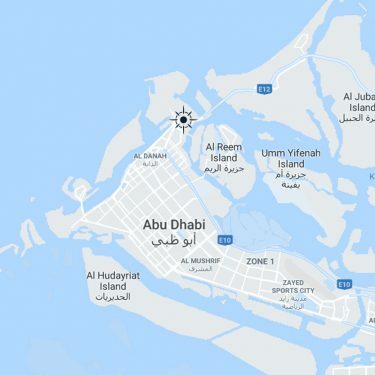 Abu Dhabi’s container traffic is focused in Khalifa Port. At present, the container handling capacity is 2.5M TEUs per annum. In the coming five years, the capacity is expected to reach 8.5M TEUs per annum, following the strategic partnerships inked with both COSCO and Mediterranean Shipping Company (MSC). This growth is part of Abu Dhabi Ports’ commitment to creating further choice for customers using Khalifa Port. When all expansion phases are completed, the port is expected to increase its capacity for container volumes to 15 million TEUs per year, by 2030. 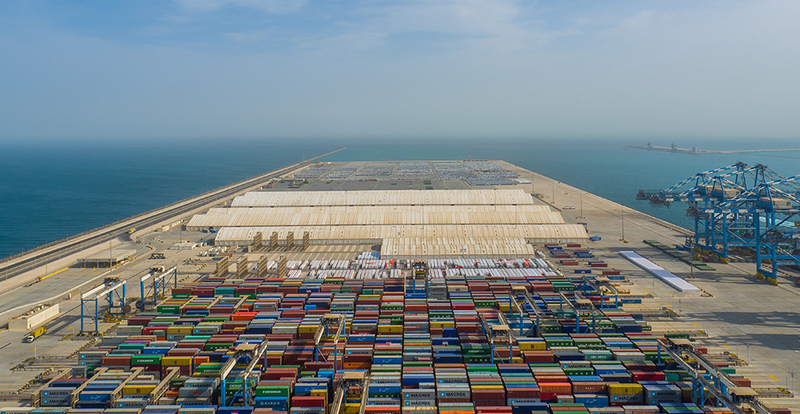 Abu Dhabi Ports is making huge investments to increase general cargo capacity and handling at our ports and container terminals. 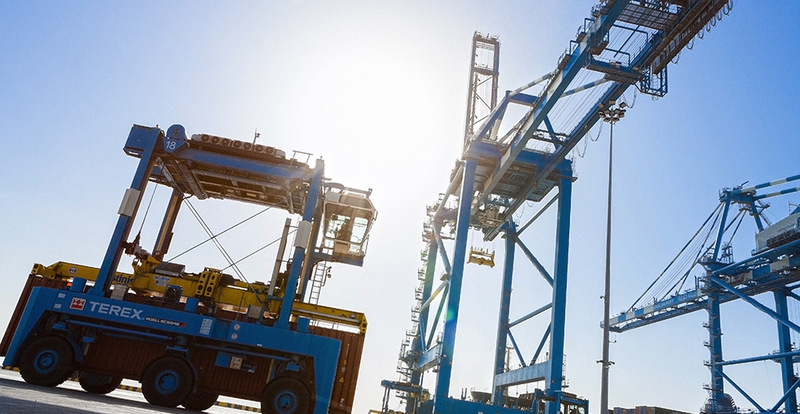 Khalifa, Zayed and Musaffah Ports can handle the majority of your general cargo business. In Q1 2018, general cargo business exceeded targets by 24% year-on- year from the same period in 2017, witnessing highest ever volumes that reached 5.03 Million FRT. Abu Dhabi Ports plays a leading role in handling commodities in the UAE, including steel and aluminum that are required for this diversified growth. Break-bulk services are offered through Zayed and Khalifa Ports. Six million tonnes of iron ore are handled annually by our ports on behalf of Emirates Steel, and more than 4 million tons of alumina are shipped for Emirates Global Aluminium (EGA), and this is due to increase by 6M tons of bauxite, to reach a total of 10M tons in the very near future. We are partnering with shipping companies to be recognised as one of the largest industrial ports in the UAE to receive bulk materials. The strategic objective of shifting our RoRo business in 2015 from Zayed to Khalifa Port was to grow our capacity by attracting more customers while delivering a world-class service. Partnering with Spanish terminal operator Autoterminal in 2018 allowed us to focus heavily on growing RoRo business in the region. Our dynamic roadmap stems from constant engagement with our internal and external stakeholders as well as the broader regional industry. Our community and leisure ports serve as main lifelines between towns connecting residents with their families and providing jobs. They also enable a steady transfer of goods and vital equipment to the islands for major development projects; thereby helping further the diversification goals for this region. Furthermore, we are eager to collaborate and support economic expansion notwithstanding geography. Hence, our redevelopment of Fujairah Port and on-going management of Kamsar Port (Africa), reflect the breadth of our activities to deliver value to our investors and customers.